Although this month marks the end of the Chamber’s Inversion Mitigation Initiative, it does not mean businesses and employees should stop working to integrate clean air strategies into their company culture. The truth is, air quality challenges don’t suddenly go away as winter fades into spring. In fact, Utah’s summertime air quality poses its own set of challenges to both the health of Utah’s citizens and the environment. Luckily, there’s already a large group of businesses who incorporate clean air practices such as carpooling, public transit, skipping trips, teleworking, trip chaining, planning ahead, active transportation and alternative work schedules, year-round. Start somewhere, even if it’s small. For those businesses who want to do something to make a difference for our air but may not know where to start, consider using a travel strategies survey. This 7-question survey can help employees determine alternative transportation strategies they are interested in and incentives they may want to use. Questions in the survey gauge how often employees currently use Travelwise, and what incentives would be best for them to meet their goals. Using these results, your business can better target how to support employees in their efforts to be more green. Access the pre-made survey here. Set goals. Your business doesn’t have to make drastic changes to improve air quality. Set realistic goals to help employees reduce emissions. Employees can start small by committing to ride transit once a week, or carpool with coworkers for a week of every month. Breaking down larger goals into smaller more attainable actions can boost morale and help develop good commuting habits that benefit the air and your business. TravelWise: Travelwise is a UDOT program with unique ideas and ways to help employees “rethink their trip” and consider commuting habits that help solve Utah’s air quality challenges. Specifically, Travelwise created a business toolkit with all of the information, ideas and tools business owners, managers, or human resources professionals need to become implement Travelwise strategies into their office culture and become a Travelwise partner. Take a look at the toolkit here and check out the rest of their website here. UCAIR: The Utah Clean Air Partnership was created to make it easier for individuals, businesses and communities to make small changes to improve Utah’s air. UCAIR has a grant program to reward organizations with creative and innovative ideas combined with resourceful planning to reach measurable emissions reductions. For more information, visit UCAIR’s website. Other partners: The Clean Air Champions resources webpage has a full list of resources specific to businesses and their clean air efforts. 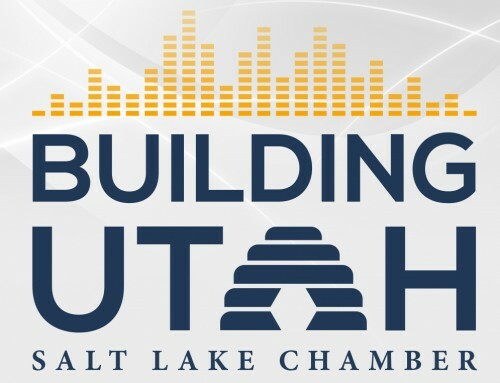 These include the Utah Division of Environmental Quality, Salt Lake City Green, Clear the Air Challenge, Leaders for Clean Air, the Provo Clean Air Toolkit and more. By starting small, setting attainable goals and using available resources, your business and employees can show a commitment to clean air year-round, not just during inversion season.